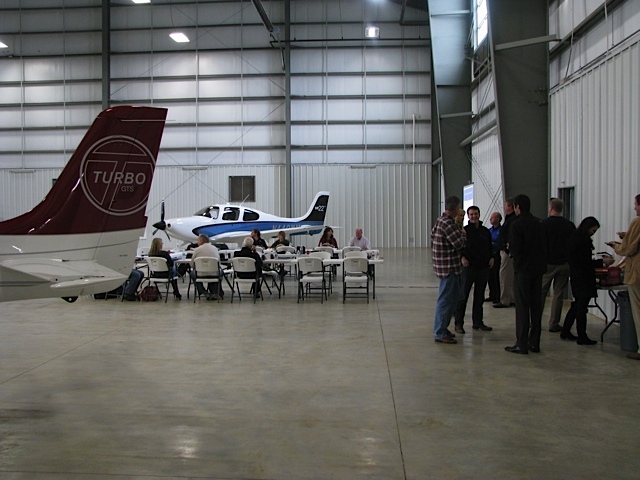 Cirrus Owners & Pilots Association hosted a Critical Decision Making (CDM) safety seminar at KTME Houston Executive on Saturday November 9, 2013. The free half-day seminar explored two NTSB fatal accident reports, analyzed safety statistics and facilitated discussions to help pilots develop techniques to make safer decisions. One of the NTSB case reports is viewable as a video “In Too Deep” on the Aircraft Owners And Pilots Association (AOPA) website. The CDM forum provided a good afternoon to meet with fellow pilots and discuss flying. Tidal Aviation Staff were onsite and helped support the event. And, Cirrus Aircraft provided an enjoyable lunch from Firehouse Subs. You should plan time to attend a future event in your area. CDM safety seminars are held across the country and are open to all pilots. You can find more information on the COPA website. Posted on November 29, 2013 November 29, 2013 by Jeff BrewerPosted in AviationTagged Aircraft Owners and Pilot Association, Cirrus Owners & Pilots Association, National Transportation Safety Board.